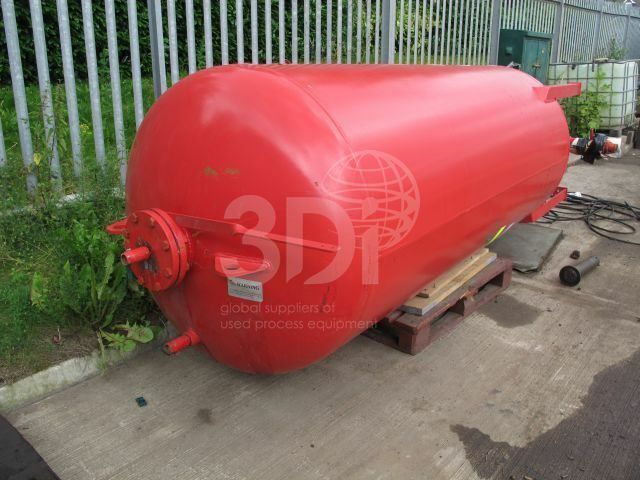 Used 3,028 Litre Mild Steel Pressure Vessel, manufactured by Chemguard Inc, 2002. Orientation: vertical, cylindrical, dished bottom and top on legs. 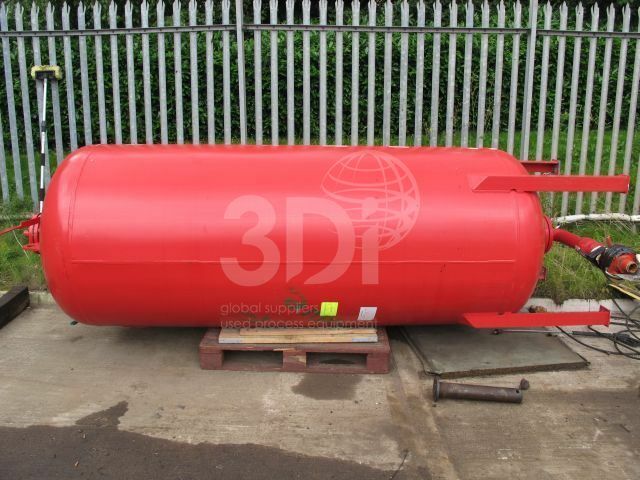 Dimensions: 1200mm diameter, 2570mm on the straight, 3750mm overall height. 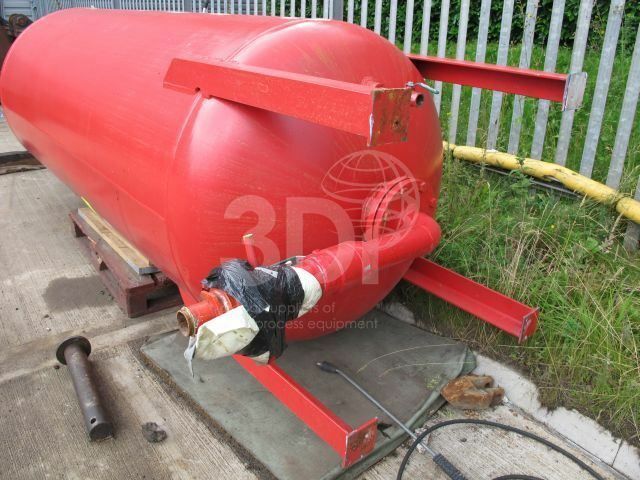 Design code ASME VIII, working pressure 175psi. Material of construction: SA516 Grade 70 steel. 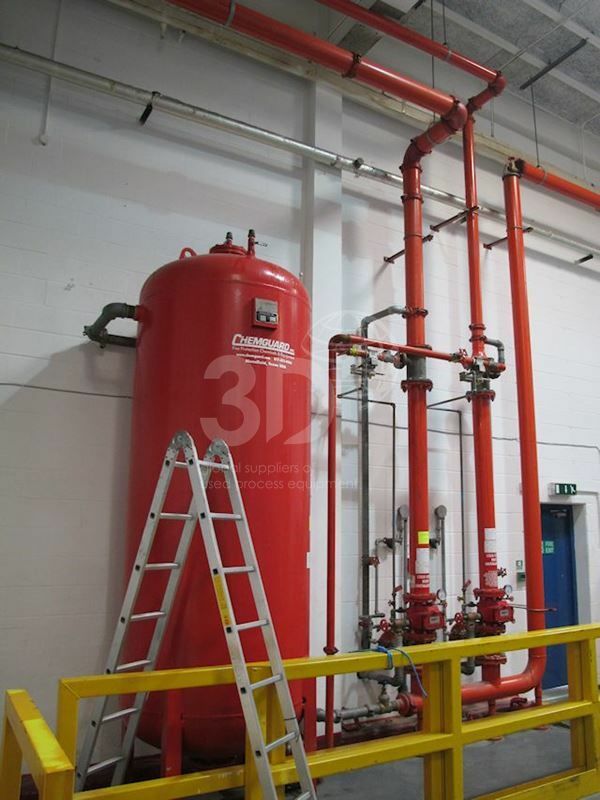 Previously used as a vertical bladder tank in a balanced pressure foam proportioning system.